Under 2 space - contact us for days. Contact us by email preschool@eastcitytrust.org.nz, or use the 'Contact Us' form below. At Eastern Bays Early Childhood Learning Centre we strive to provide our children with an enriched programme where play is valued and recognised as meaningful and authentic learning. Collaboration between teachers, children and parents is the foundation of our child-initiated programme planning. We believe that children are lifelong learners. The early years play an important role in a child’s life and that is why we endeavour to provide many opportunities within our environment that will support and build a solid foundation for their continuous learning throughout life. Each child has the potential to bring something unique and special to the world. We will assist them in discovering who they are so they can express their own opinions and nurture their own ideas. We embrace a vision of a world where people respect, accept and celebrate differences. We value all our families and believe it is important to develop strong partnerships between the home and the centre. To assist you on making an informed decision when selecting a preschool for your child, the Education Review Office has a guide to help parents. Select the link Early Childhood Education: A Guide for Parents 2007 to view. Eastern Bays Learning Centre employs staff who are caring, trained, experienced professionals, responsible for providing a safe and educational environment. All staff members hold current First Aid Certificates. The teaching team may also consist of staff that are in training or have valuable experience in working with children. A photo board of staff members and their qualifications is in the centre. As we value lifelong learning, teachers are encouraged to continue their professional development to enhance their knowledge of Early Childhood Education. Working alongside our teaching team are our support workers: a cook, cleaner, relievers, educational support workers, the Stadium Manager and the Stadium Administrator. We offer full day and 6 hour day sessions to children aged from 9 months to 5 years. Our family grouping environment supports both individual and group education and care. We believe that children learn best by following their interest areas or emergent curriculum, and we aim to provide opportunities and learning experiences to promote and enhance their development. We value all parent input and enjoy working cooperatively with families. Aim: To familiarise the children to routine experiences and expectations they will encounter at school. This enables children to approach their transition to school with confidence and enthusiasm. Because choosing a childcare centre is such a huge decision for you and your child, we welcome any questions or concerns you may have. You are welcome to make an appointment to see our Manager, Shona, who will give you a personal tour of our centre and programmes and a copy of our Parent Handbook. The centre holds a waiting list. The wait time depends on the age of your children and the days you wish to enroll. To find out more, please place your child’s name on our list by completing the enquiry form below. If you would like to visit the centre please email us at preschool@eastcitytrust.org.nz, or phone 09 521-0009 ext 3. Once a place is available for your child the Manager will notify you and a comprehensive enrolment pack will be given to you. All forms must be completed and returned before your child begins at the centre. Once you have accepted the place for your child you will be charged a once off enrolment fee of $35.00 to cover administration, your child’s portfolio and a Wet bag. We offer full day sessions (either 8.00am-4.30pm or 9.00am- 3.00pm) for children aged from 9 months - 5 years. 20 Hours ECE (3-5 year olds only) is available and pricing and details are available on enrolment. We are committed to providing high quality care and education that is above the regulations requirements. 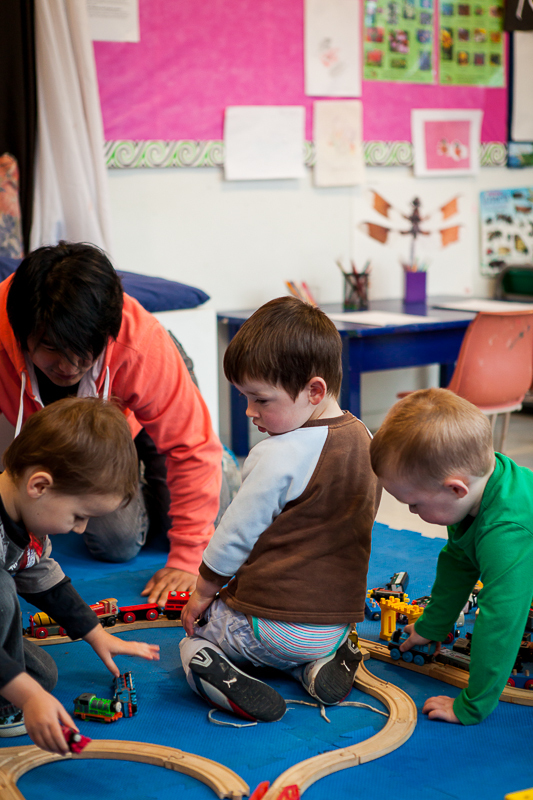 The ECE subsidy does not fully cover this, and we ask parents to support our optional charges which cover additional features within our centre and program. .With 2 or more children at the centre, the youngest child will receive a discount of 10% off the regular rate. Statutory Days are charged at your regular rate if your normal enrolled hours fall on a statutory day (except Christmas and New Year which is our closed down period).